Lanteria has amazing news to share: today our main product, Lanteria HR was awarded by FinanceOnline in two nominations: Great User Experience 2017 and Rising Star 2017. Lanteria HR system was featured in an experts' review and praised as a one of the top solutions in its field. We're proud to have our HR software listed in FinanceOnline catalog, as it's well-known for its team of professionals. According to them, "Lanteria HR is a comprehensive and intuitive platform to help you manage and remain on top of your company’s HR structure as well as create and implement HR processes and workflows that are tailored to align with your business goals and values." What they also appreciated, was the high level of customization, which allows Lanteria HR users get the most of this platform. Also, as it was discussed in the review, integration with Microsoft SharePoint platform and Office 365 is a great benefit for companies that use these products for their daily tasks. Being among the best online HR management software in the trusted B2B directory will only inspire us to become better and please users with more out-of-the-box features. 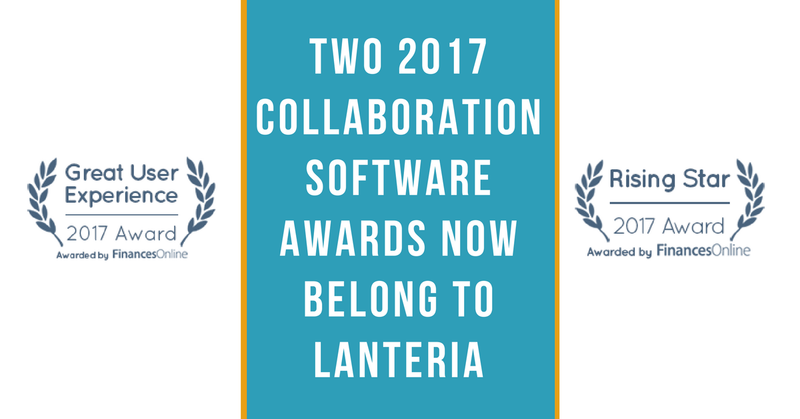 As a result of the awards and positive review, Lanteria was also recommended in the platform’s what is HR software guide, joining other top-ranked HR software.